Take control of your writing. 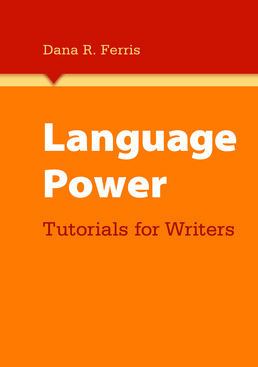 With strategies and tools for understanding and improving vocabulary usage, grammar, and style, Language Power teaches you to understand your options as a writer. Learn to make confident choices on how to communicate with your audience and achieve your goals. Preface for teachers: Provide suggestions for integrating the material into a course syllabus and providing effective feedback. Discussion of research informing the content and structure of the lessons and other materials in the book. References to support materials online. Introduction for students: Provide context for all material in the book. Discuss why errors matter (real-world audiences, clarity & effectiveness of communication for readers). Define and discuss global and local revision. Charts for students to track their progress—also available online? Dana Ferris is Professor and Associate Director for Lower-Division Writing in the University Writing Program at the University of California, Davis. An applied linguist by training (Ph.D., University of Southern California), she has many years of experience teaching in ESL/multilingual writing programs and in mainstream composition programs. 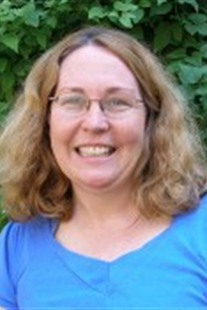 She also has spent over 20 years as a teacher educator, working with future K-12 teachers, with M.A. students in Teaching English to Speakers of Other Languages (TESOL), Composition, and Reading, and with Ph.D. students in Linguistics, Education, and English. Her research has focused extensively on response to student writing and on written corrective feedback in second language writing. Her work has been published in a range of journals including TESOL Quarterly, Research in the Teaching of English, Studies in Second Language Acquisition, Journal of Second Language Writing, Across the Disciplines, Writing and Pedagogy, TESOL Journal, and CATESOL Journal. She has previously published seven books. These teacher preparation and reference books have focused on the needs of multilingual/second language writers and readers and on responding to student writing. Titles include Teaching L2 Composition: Purpose, Process, and Practice (3rd Ed. 2013, with John Hedgcock, Routledge), Treatment of Error in Second Language Student Writing (2nd Ed. 2011, Michigan), and Teaching Readers of English (2009, with John Hedgcock, Routledge).